You must have been wondering about the relation between a tea and weight loss and particularly where there numerous other options available? But yes, it is true – green tea and weight loss. Green tea has been used as a medicine since thousands of years, and now that the truth about its relation with weight loss has been revealed people are becoming more and more anxious to know more about the relation. If we seriously look at all the elements of weight loss – diet plans, diet pills, weight loss supplements, fat burners and many more, you will find one element common in all of them and that’s green tea and green tea extracts. Diet and exercise is the most effective and proper way to lose weight. A healthy and balanced diet helps in increases our chances of getting a slimmer waistline. The foods in a healthy and balanced diet either helps by boosting metabolism or either helps in the process of digestion – both are keys to achieve healthy and effective weight loss. But, at the same time it is important to include some stimulants to make our weight loss journey more fruitful and fast. One of the most effective stimulant is green tea. Green tea is not only healthy, but is an effective eight loss tool and all is attributed to its anti-oxidant properties and other nutrients that provides numerous health benefits. Studies conducted on the subject has confirmed that green tea promotes fat burning process. Its high concentration of vitamins and minerals and low calorie contents pair up to enhance the body’s metabolism and improves the ability of the body to burn more fat. What is it in Green Tea that makes it so effective in weight loss? Green tea is considered healthier than other forms of tea, because the leaves do not have to go through the oxidation process, which other teas have to. Moreover, green tea is power packed with anti-oxidants that helps fight free radicals that damages the cells inside our body and helps improving the body’s immunity. Vitamin E and C and beta-carotene are anti-oxidants that helps protecting the body and keeping it away from any sort of health hazard. Green tea is also enriched with the goodness of catechins, an active ingredient that aids in boosting metabolism and helps you losing weight. Green tea has been used since ages in Indian and China as a traditional medicine. There are quite a number of green teas available. Green tea helps against many health problems including cancer. Green tea is one of the most studied subject of weight loss of recent times. Blood Thinner: people who are under blood thinning medication, need to practice caution while drinking green tea, as it contains vitamin K. Also, often at times green tea and aspirin are advised to many, as they both reduce blood clotting effectiveness. Caffeine Sensitivity: those who suffer from severe caffeine sensitivity could experience certain symptoms like insomnia, irritability, anxiousness, stomach upsets and nausea. Other types of stimulants: green tea should never be taken along with other stimulants as it might increase the heart rate and blood pressure. 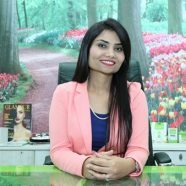 In the world of health and nutrition dietician Sheela Seharawat is a well known name. Along with her master’s degree in food & nutrition she also holds benevolence and dedication in her character. She has been practicing since 2006 and a registered dietician under IDA. She is among the founding members of the Diet Clinic which has presently more than 35 outlets running successfully all over the country. Prior to her individual practice, she remained associated as a dietician with Indian Army hospital for a Short time.